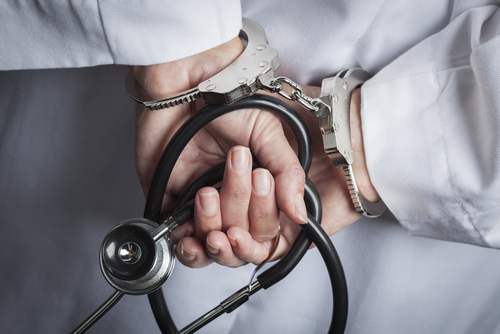 Medicare Fraud is extremely complex and can require the help of experienced and knowledgeable attorneys. In order to stop acts of Medicare fraud against the government, whistleblowers may bring a civil lawsuit under the False Claims Act. Any person or entity that has encountered fraud against federal programs or contracts can serve as a whistleblower. The type of lawsuit that a whistleblower may bring is called a qui tam. In a qui tam lawsuit, the person who is pursuing the claim is doing so on behalf of the government. This person is referred to as a “relator”. In essence, the relator is helping the government eliminate waste, fraud and abuse by coming forward. Many times there is a financial reward for the relator in a successful qui tam lawsuit. If you have encountered fraud, you should consult an attorney who may advise you to institute a quit tam lawsuit. The Federal False Claims Act is a federal law that imposes liability on persons and entities that defraud governmental Medicare and Medicaid programs. The False Claims Act is the government’s primary tool in counteracting fraud. For instance, as of 2012, over 70% of all False Claim actions were initiated by whistleblowers. Between 1987 and 2013, $27.2 billion dollars were recovered in qui tam cases brought by whistleblowers. In 2014 alone, over 700 False Claims actions were brought by whistleblowers. Whistleblowers may report fraud under the qui tam provision to the False Claims Act. In qui tam lawsuits, the government may find cause to intervene and join the lawsuit. And, if the government is successful in recovering damages, the whistleblower is entitled to up to 25% of what the government recovers. For these prohibited acts, the False Claims Act imposes liability for treble damages and a civil penalty ranging from $5,000 to $10,000 per claim for anyone who knowingly submits or causes the submission of a false or fraudulent claim (treble damages are a multiple of, and not an addition to, actual damages). Nonetheless, certain claims are also not actionable. These concerns should be addressed with an attorney. The attorneys at Oberheiden, P.C. have detailed knowledge and experience with qui tam lawsuits. A qui tam lawsuit must be filed under seal in federal district court in accordance with the Federal Rules of Civil Procedure. This may pose complications, and potentially harm any persons pursuing a claim without counsel. With many years of prosecutorial experience in Medicare Fraud and with qui tam lawsuits, the attorneys at Oberheiden, P.C. are well equipped to guide you in your qui tam lawsuit. Several of our attorneys were former federal prosecutors for the United States Attorney’s Office. As former prosecutors, they are intimately familiar with the procedures of the federal legal system as well as the evidentiary requirements that are necessary for a successful whistleblower claim. Our attorneys have worked extensively with the Office of Inspector General, the Department of Health and Human Services, the Federal Bureau of Investigation, and other federal law enforcement agencies. Our attorneys’ knowledge and experience can help clients present their claims properly to the government and increase the likelihood of a successful outcome. Speak with the team at Oberheiden, P.C. today. Let us review your case, free and confidential. Contact us today. This message may constitute attorney advertising in some jurisdictions. Prior results do not guarantee similar outcomes. This message is meant to be informative and does not establish an attorney-client relationship between Oberheiden, P.C. and the reader.